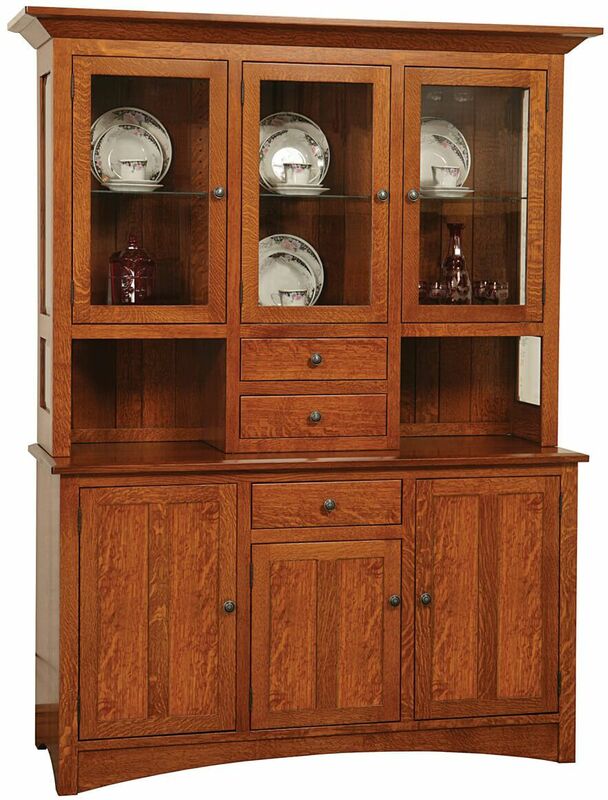 Our Franconia Ridge Dining Hutch is a customizable, solid wood hutch in the Mission style. This sideboard with china hutch is perfect for your home. Timeless and built to last, this hand-finished Franconia Ridge Dining Hutch offers heirloom appeal in your formal dining room or eat-in kitchen. A partially open hutch accommodates your fine china on adjustable glass shelves, while an open deck on either side provides serving space. A solid hardwood tongue and groove back adds additional appeal. All drawers operate on full extension drawers are dovetailed for strength. 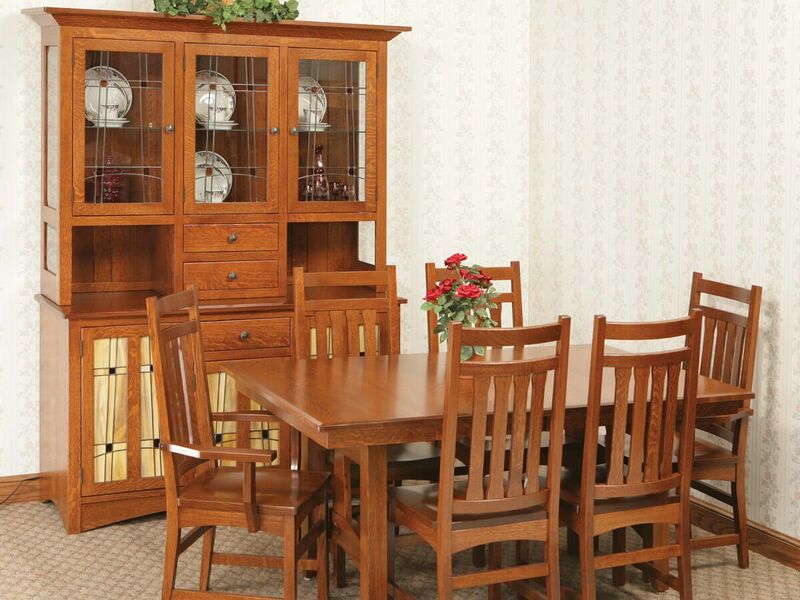 The base buffet of the Franconia Ridge dining piece, adorned with a gently arched bottom, is standard with inset paneled cabinet doors and adjustable wooden shelving. Keep the look of the Franconia Ridge Dining Hutch as pictured by opting for Quartersawn White Construction, or select a different hardwood and finish combination for your home. Each china cabinet is carefully made-to-order.